On Monday (Nov. 13), Public Service Commissioner Foster Campbell issued a glowing PRESS RELEASE in which he announced what he described as a project to provide high-speed internet service to more than 54,000 homes and businesses in the 24-parish PSC District 5. Yet, only two months earlier, Campbell had appeared before the Claiborne Parish Police Jury to publicly trash a proposal by Claiborne Electric Cooperative to provide even faster and more comprehensive internet service to an estimated 65,000 homes and businesses in its five-parish service area—at a comparable customer cost. Campbell, an Elm Grove populist Democrat who lost to John Kennedy in the 2016 U.S. Senate race, who lost to Bobby Jindal in the 2007 governor’s election and who three times ran unsuccessfully for the U.S. House from Louisiana’s 4th congressional district, seems to be running for something again but there don’t seem to be any other offices for him to seek. “Then when he had his say, for which he caught a lot of flak from citizens in attendance, he promptly left as (Claiborne CEO) Mark Brown was given the opportunity to present his side of the situation,” the member said, pointing out that he is neither an employee nor a board member of Claiborne Electric. He asked that his name not be used. He said that FCC records indicate that 54,580 homes and businesses in his PSC district are eligible for high-speed internet service funded by Connect America. That represents just a fraction of almost a million people—325,000 households—in the 24 parishes. What Campbell describes as “high speed” internet is a download speed of 10 megabytes per second and an upload speed of one megabyte per second at an estimated cost of $60 per month per customer. Claiborne’s proposal calls for the same $60 monthly rate for 50 megabytes to one gigabyte of service for 10,000 more customers in the five-parishes of Bienville, Claiborne, Lincoln, Union and Webster than for Campbell’s entire 24 parish district. Campbell claims that if the Claiborne project fails, customers would be on the hook for the costs, ignoring the fact that the proposal calls for a construction phase-in that would allow the project to be scrapped if it did not meet projections. 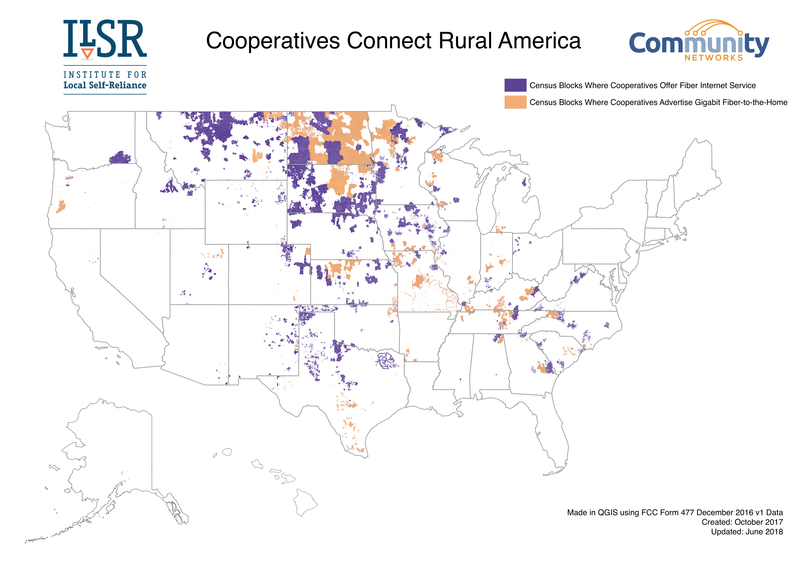 Foster’s behavior is a strange reversal of traditional Democratic support for electric cooperatives begun under the administration of Franklin Roosevelt and championed by such notables as Lyndon Johnson. In fact, Foster’s rhetoric is reminiscent of Bobby Jindal’s REJECTION of that $80 million Commerce Department grant to install high-speed broadband internet for Louisiana’s rural parishes back in 2011. In that case, Jindal was in lockstep with the AMERICAN LEGISLATIVE EXCHANGE COUNCIL (ALEC) which in 2010 had staked out its opposition to federal encroachment onto the turf of private business despite the fact that private business had been painfully slow in responding to the needs of rural America dating back to the early days of electric power and telephone service. And therefore, since AT&T was a member of ALEC and since AT&T was opposed to the grant, therefore, so was Jindal. In Jindal’s case, AT&T had also made a six-figure contribution to his wife’s charitable foundation, giving Jindal another reason to take up the ALEC banner. AT&T, in fact, even took the City of Lafayette to court to fight the city’s efforts to construct its own fiber optic high speed broadband internet system. It was a costly fight for both sides but Lafayette eventually emerged victorious despite AT&T’s best efforts. Foster Campbell, in his press release noted that AT&T would be responsible for $17.2 million, or 79 percent of the FCC-funded broadband expansion into PSC District 5 while CenturyLink of Monroe would have responsibility for $3.9 million (18 percent) of the cost and satellite provider ViaSat would spend $1.5 million (3 percent). So, why is Campbell now sounding so downright Jindalesque in his opposition to Claiborne Electric? CenturyLink made two $1,000 contributions to Campbell’s various state campaign fund in 2011 and 2012, according to Louisiana Ethics Commission records. Glen F. Post, III, of Farmerville in Union Parish, is President of CenturyLink. He personally contributed $11,500 to Campbell between 2003 and 2014. Stacy Goff is Executive Vice-President of CenturyLink. He chipped in another $500 for Campbell in 2005. AT&T gave $10,000 to Campbell in campaign contributions between 2003 and 2010. William G. “Bud” Courson and James W. Nickel of Baton Rouge are registered lobbyists for AT&T. Their firm, Courson Nickel, LLC of Baton Rouge, contributed $2,000 to Campbell from 2002 to 2014. Post contributed another $3,000 to Campbell’s unsuccessful Senate campaign in 2016 and Nickel and Courson also contributed $500 and $1,000, respectively, to that campaign, federal campaign finance records show. Altogether, Foster Campbell had at least 30,500 reasons to oppose Claiborne Electric’s proposal to provide high speed broadband internet service to its members. Because he indisputably had skin in the game, he should have recused himself from the discussion in order to avoid any conflict of interests. Therein lies the problem of regulators accepting contributions from those they regulate. Dismantles consumer protection laws. Done. Repeals environmental protection regulations. Check. Does away with civil service protections. In progress. Guts Medicaid, Medicare, and social security. Working on that. Passes more tax breaks for the wealthy and for corporations. Proposed. Moves low-interest federal student loan programs to private banks that charge higher interest rates to already cash-strapped middle- and low-income students. Proposed. Continues to offer “thoughts and prayers (TAPs) but does little else in the way of addressing the growing problem of mass shootings in America—because that’s the way the NRA wants it. No problem. Systematically undermines organized labor so that worker protection, benefits, pay, etc. are minimized. Ongoing. Screams “law and order” on the campaign trail but ignores, even attacks, the rule of law when it is to their benefit. Just watch the nightly newscasts. Attacks the news media, the one independent institution capable—or willing—to keep check on political misdeeds and wrongdoing. A given. Spew more patriotic rhetoric in order to gin up the war machine in countries where we have no business so more Americans can die needlessly so that the MILITARY-INDUSTRIAL COMPLEX that outgoing President Eisenhower warned us about in 1961 can continue to prosper and thrive. This tactic has never wavered. Continue the practice of rolling the flag, the Bible, and the false label of patriotism into some sort of one-size-fits-all commodity to be sold to evangelicals like Disney souvenirs or McDonald’s Happy Meal toys. Don’t believe me? Watch the mass hypnosis of a Trump rally; it’s the same misplaced trust in a mortal being as the personification of some sort of divinely-inspired savior that we saw with Jim Jones and David Koresh. Repeals banking regulations in order that the country’s financial institutions will be free to plunge the nation—and perhaps the world itself—into another financial crisis as bad, or worse, than the 2008 collapse (and for the information of some who apparently do not know, Dodd-Frank did not enable the last crisis because Dodd-Frank was not enacted until 2010, two years after the collapse). Passed and signed by Trump. All these objectives, and more, when carried out, will have the cumulative effect of creating economic chaos which in turn will drive housing prices spiraling downward as the market is glutted by foreclosures as before. Layoffs will follow, resulting in high unemployment and homelessness. Businesses will close, causing more economic uncertainty. With instability in the Mideast will come higher oil prices. That’s when the vultures will move in, snapping up property at bargain basement prices from desperate owners who will be forced to sell for pennies on the dollar because they have no negotiating leverage. It’s all part of the Shock Doctrine principle that author Naomi Klein wrote about—and it works. When the recovery does come, it’ll be too late for most. And these investors, these people who propped up the Republican Party, will be holding all the cards. The already gaping abyss between the haves and have-nots, between the 1 percent and the rest of us, will grow ever wider and those in control now will then be in even more control than before as more and more of the country’s wealth flows upward. Trickle down was—is already—a distant fantasy. So, just who would be in a position to pull off such an economic coup at the expense of American citizens? Try the Brothers Koch—Charles and David—and their cabal of fat cats. You can begin the discussion by asking one simple question: why else would they commit their network of billionaires to spending $400 million in the 2018 midterm election cycle (double what they spent in the 2014 mid-terms and a 60 percent increase over 2016) if they did not stand to gain something from it? If your answer is that they only want good, clean government, you’re just fooling yourself. No one throws that much money at dirty politicians and expects it to come back crisp and clean. Russian collusion? These guys can play hardball just as well as the Russians can and they do it legally, through their PACs, their foundations, and their personal bankrolling of campaigns. Facebook account hackings? Try i360, the Koch Industries data analytics company that compiles information on nearly 200 million active voters. Want to hear how they wrap themselves in the flag? Try some of their front groups: Americans for Prosperity, Libre Initiative, Concerned Veterans for America, Generation Opportunity, and Freedom Partners Action Fund. Truthout, an online political news organization that is a tad more left-leaning than Faux News (that’s parody, for those of you who don’t recognize it), has compiled a list of 2018 KOCH CANDIDATES to whom they are funneling campaign contributions. S. Sen. Bill Cassidy of Baton Rouge: just a measly $1,000 (an insult) to his Continuing America’s Strength and Security (more flag-draping nomenclature) PAC. But it doesn’t stop with Louisiana. Not by a long shot. $10,000 to Pennsylvania Rep. Mike Kelly’s Keep America Rolling PAC (Could this be a subliminal reference to the “Let’s roll” words of Todd Beamer who tried unsuccessfully to disarm hijackers on United Flight 93 just before it crashed in the Pennsylvania countryside on 9/11?). None of this is intended to diminish, ridicule, or scorn the true patriotic love of this country on anyone’s behalf. Patriotism is a wonderful thing as long as it is kept in perspective. But to allow the love of country to blind you to the shortcomings of our so-called leaders who sell patriotism like a carnival barker sells tickets to a lurid peep show is not my definition of the word. It in fact cheapens the definition. To paraphrase our most recent former governor, at the end of the day, no one—and I do mean NO ONE, without exception—contributes to a political campaign in the amounts doled out by the Kochs and their ilk, without expecting something in return. That something is always personal enrichment. So, before you base your decision on a candidate based on the half-truths and outright lies of TV political ads, check to see who gets what in the form of CAMPAIGN CONTRIBUTIONS. Make your decision an intelligent one, not one based on looks or sound bites. Like anything else worthwhile, it takes a little work to do it right. I’m no economist and I did not stay at a Holiday Inn Express last night, so I make no claims to be gifted in predicting the future. After all, I smugly opined on the day that Donald Trump announced his candidacy for the presidency that he would crash and burn within six weeks. He may yet crash and burn but it’s taken a tad longer. But it doesn’t take a crystal ball to see a repeat of the 2008 financial collapse and when it happens, don’t forget to thank Louisiana’s two senators and four of our six representatives. I mean, Stevie Wonder can see the idiocy of the actions of Congress in rolling back the reforms put in place by the DODD-FRANK rules following the disastrous Great Recession brought on by the recklessness of the banking industry. The HOUSE voted 258-159 on Tuesday to allow banks with up to $250 billion in assets (that’s roughly eight times the size of Louisiana’s $30 billion budget and our legislators can’t even get a grasp on that) to avoid supervision from the Fed and STRESS TESTS. Under Dodd-Frank, the tougher rules applied to banks with at least $50 billion in assets. Louisiana House members who voted in favor were Garrett Graves, Mike Johnson, Ralph Abraham, and Steve Scalise. Only Rep. Cedric Richmond voted against the measure while Paramilitary Macho-Man, the Cajun John Wayne, Clay Higgins took a powder and did not vote. The measure, S-2155, had eased through the SENATE by a 67-31 vote back on March 14 and both Louisiana Sens. Bill Cassidy and John Kennedy voted in favor. Kennedy, who loves to preach about revenue and spending, should know better: he was Louisiana State Treasurer for eight years, from 2000 to 2008. You’d think he might have learned something during that time. Guess not. But what could you expect from someone who thought he had “reduced paperwork for small businesses by 150 percent” during his tenure as Secretary of Revenue? ABA (the American Banking Association) is asking all bankers to make a final grassroots push by calling their representatives and urging them to vote “yes” on S. 2155. ABA and all 52 state bankers’ associations sent letters to the House on Friday urging passage of S. 2155. Take action now. Here is a copy of the ABA LETTER to House Speaker Paul Ryan and Minority Leader Nancy Pelosi and the letter sent by the state ASSOCIATIONS, including the Louisiana Bankers’ Association. It’s almost as if the bankers, their lobbyists and their pawns in Congress have had their collective memories erased. Remember “TOO-BIG-TO-FAIL” or costs of somewhere in the neighborhood of $14 TRILLION (with a “T”) to the U.S. economy the last time banks got a little carried away with their subprime mortgages and insane investments of OPM (other people’s money)? Remember how the runaway train wreck of 2008 darned-near destroyed the economy not just of this country, but the entire GLOBAL ECONOMY? Remember how Congress had to bail out the incredibly reckless banks and how not a single person ever did jail time for the manner in which greed and more greed took over for sound fiscal judgment? Remember the run-up to the 2008 collapse? Deregulation? Warren Buffet’s referring to derivatives as “financial weapons of mass destruction” (was anyone listening)? Enron? Worldcom? Countrywide? Merrill Lynch? Wells Fargo’s manipulation of customers’ accounts? Lincoln Savings & Loan? Pacific Gas and Electric? Arthur Anderson? Lehman Brothers? Bear Stearns? AIG? Washington Mutual? And lest you feel a pang of sympathy for those poor, over-regulated banks, consider this: PROFITS for AMERICAN BANKS during the first quarter of 2018 increased by 28 percent, shattering the prior record set just three quarters earlier. The “blockbuster earnings report” was attributed to tax cuts implemented by the Trump administration, which should give you a pretty good idea about just who the tax bill was designed to help in the first place. And here’s something that will give you a warm fuzzy: American banks are sitting on almost $2 trillion of capital that will help them survive the next recession—whether you get through the next downturn or not. That theory that excess capital would be plowed back into the economy just didn’t seem to pan out. Wall Street is counting on the Dodd-Frank deregulation allowing banks to return as much of that surplus cash as $53 billion back to SHAREHOLDERS. Reinvestment? More jobs? Stimulating the economy? Fuggedaboutit. It’s all about the shareholders. And you can bet the shareholders won’t fuggedaboutit when it comes to chipping into the campaign coffers of those members of Congress who had the good sense to vote to lift the unreasonable burden of overregulation off the poor, struggling banking industry. But what the hell? I’m not an economist. I’m just one of those purveyors of all that fake news. The 1967 Buffalo Springfield Vietnam War protest song, For What It’s Worth could be applicable to just about any scenario in Louisiana politics but probably never more so than with HOUSE BILL 727 by State Rep. Major Thibaut (D-New Roads). Thibaut, posing as a Democrat but appearing to be anything but, apparently wants to repeal the FIRST AMENDMENT which guarantees American citizens the right of peaceful assembly. HB 727, which has 50 additional co-authors in the House and 14 in the Senate, would amend an existing statute in accordance with the dictates of the AMERICAN LEGISLATIVE EXCHANGE COUNCIL (ALEC), which long ago wormed its way into the Republican mindset as a means of advancing its agenda. That agenda, of course, works hand-in-hand with that of corporate America—big oil, big banks, big pharma, charter schools, and private prisons, among others—to the overall detriment of those who ultimately foot the bill—the working stiffs of middle America who continue to convince themselves that their interests are compatible. The bottom line is this: if the corporate giants are shelling out millions upon millions of dollars to lobby lawmakers and to finance their campaigns, you can bet they’re in bed together. And when they whisper sweet nothings in each other’s ear, they ain’t discussing how to make your life easier. And that’s HB 727 and ALEC are all about. While the seemingly innocuous bill appears only to lay out penalties for trespassing onto “critical infrastructure,” and to include “pipelines” or “any site where the construction or improvement of any facility or structure…is occurring” to the definition of critical infrastructure, the wording of the bill includes subtle landmines designed to discourage otherwise legal protests. This is a pretty subjective call on someone’s part. Just who decides what is “foreseeable”? And then there is the conspiracy clause that’s added to the bill. Just what would constitute a “conspiracy” in this case? Well, it could mean the simple discussion of possible trespass. Whatever it is, the word “foreseeable” is thrown into the mix again. So, a protest in the proximity of pipeline construction could conceivably be construed by an ambitious prosecutor as “conspiracy” and any discussion during such a protest could become a conspiracy. Besides being yet another windfall for the private prisons, this bill is nothing more than a means to discourage protests over pipeline construction through sensitive areas such as the Bayou Bridge Pipeline, a joint venture of Energy Transfer Partners and Phillips 66 (keep those names in mind; they’ll come up again later). It’s also an obvious effort to placate ALEC and the oil and gas industry that has held this state, its governors and legislators captive for a century. The political leaders of this state, from the governor on down, won’t go to the bathroom without permission from Mid-Continent Oil and Gas Association, which boasts on its WEB PAGE that it is “Louisiana’s longest-standing trade association” (read: lobbying arm of the petroleum industry). What’s not difficult to believe is the motivation behind nearly half of the bill’s sponsors. Of the 51 representatives and 14 senators who signed on as co-authors of the bill, 31 (23 representatives and eight senators) combined to rake in $62,500 in contributions from Transfer Partners and Phillips 66 since January 2011. Phillips also gave $3,500 to Senate President John Alario and Energy Transfer Partners chipped in another $4,000. Additionally, Energy Transfer Partners gave $4,000 to then-Sen. Robert Adley of Bossier Parish who was appointed by Gov. John Bel Edwards as Executive Director of the Louisiana Offshore Terminal Authority, $2,000 to then-Rep. Jim Fannin of Jonesboro who served as Chairman of the House Appropriations Committee at the time. Energy Transfer Partners also contributed $5,000 to Edwards, who is on record as SUPPORTING the Bayou Bridge project, and Phillips 66 added another $5,500. Thibaut was not one of those. But he did specialize in accepting campaign contributions from more than 40 political action committees—including several aligned with energy interests. In all, he pulled in $105,000 from PACs since 2008, campaign records show. Those PACs included such diverse interests as dentists, bankers, payday loan companies, optometrists, insurance, student loans, pharmaceutical companies, sugar, realtors, and nursing homes, to name only a few. EASTPAC, WESTPAC, NORTHPAC, and SOUTHPAC, four PACs run by the Louisiana Association of Business and Industry (LABI) combined to $13,750 to Thibaut, records show, while the Louisiana Manufacturers PAC gave $11,000. With that money stacked against them, the Bayou Bridge pipeline opponents are fighting an uphill battle, especially with leaders like Edwards already having publicly endorsed the project. The end game, of course, is to head off a repeat of STANDING ROCK, the largest Native American protest movement in modern history over the construction of a 1,170-mile Dakota Access pipeline, of which the BAYOU BRIDGE project through the Atchafalaya Basin is a part. Opponents of the 162-mile Bayou Bridge project—from St. James Parish to Calcasieu Parish—say would harm the area’s delicate ecosystem. Standing Rock was an ugly scene, further illustrative of how this country has time after time ripped land, basic human rights and dignity from the country’s original inhabitants, inhabitants who weren’t even recognized as American citizens until 1924 even though more than 12,000 fought for this country in World War I. Standing Rock apparently was such a national emergency that St. Charles Parish Sheriff Greg Champagne, at the time President of the National Sheriffs’ Association, found it necessary to visit Standing Rock in 2016 and to write a lengthy self-serving account in the association’s online PRESIDENT’S PODIUM of the carnage he witnessed at the hands of the protestors whom he described in less than glowing terms. His article prompted a lengthy REBUTTAL by Cherri Foytlin, state Director of BOLD LOUISIANA in Rayne and Monique Verdin, a citizen of the UNITED HOUMA NATION, who also were at Standing Rock. It’s difficult to believe, after reading the two missives, that they were at the same place, witnessing the same events play out.